Rick Lofgren learned the importance of quality customer service as the Vice President of Sales and Marketing for Crossmark, where he represented Fortune 500 companies, in Chicago, for 30 years. A life long learner, Rick found time to earn his MBA, to serve on many professional boards and to volunteer his time as a mentor/Big Brother through the Bridge program. Now a licensed Florida REALTOR®, Rick and his wife Jennifer are happily settled in South Ponte Vedra Beach. He continues to volunteer his time on community boards because he is dedicated to making our communities the best they can be. Rick is pleased to offer his services to help people sell or find that perfect home in Ponte Vedra Beach, Vilano Beach, St. Augustine or Jacksonville. Chris and her husband Steve settled in Ponte Vedra Beach Florida in 1997, after living on both coasts of this wonderful state as well as this great country. In the past, Chris helped people purchase vacation and business travel, while traveling the world herself. 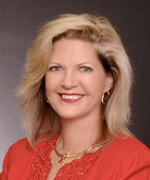 She has been a licensed REALTOR®, helping people buy and sell homes full time since 1994. For eight years she assisted buyers design and purchase brand new homes in Turtle Shores as a representative for ICI Homes. Since 2007 she has been pleased to be able to offer her services to help people sell or find that perfect home anywhere in the Ponte Vedra Beach, St. Augustine, and Jacksonville Florida areas.